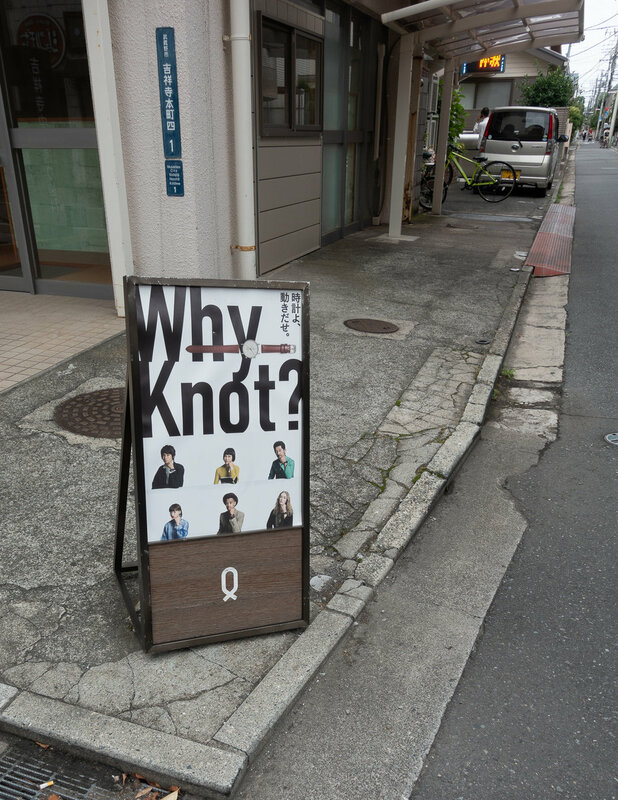 During my recent trip to Japan I visited the Maker's Watch Knot Galley Shop in Kichijoji, Tokyo. The company was launched in 2014 after raising interest on a Japanese crowd-funding website. 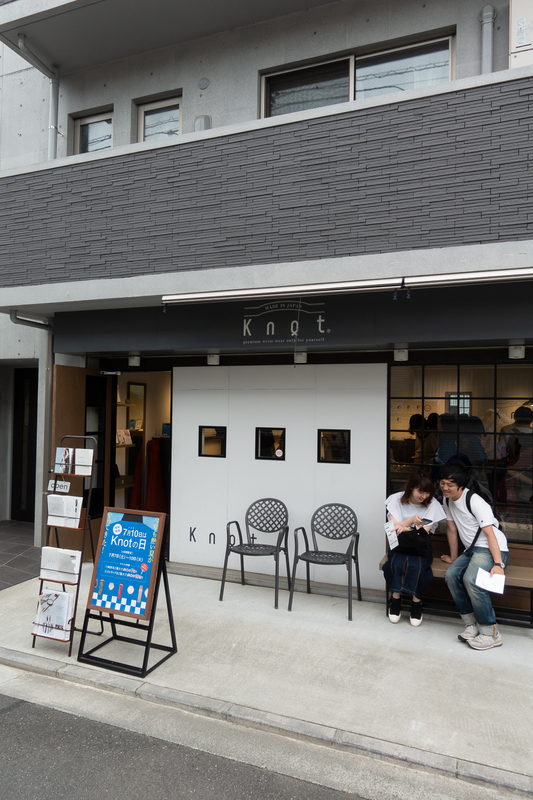 The first company store was established in Kichijoji and this was the Gallery Shop that I visited. 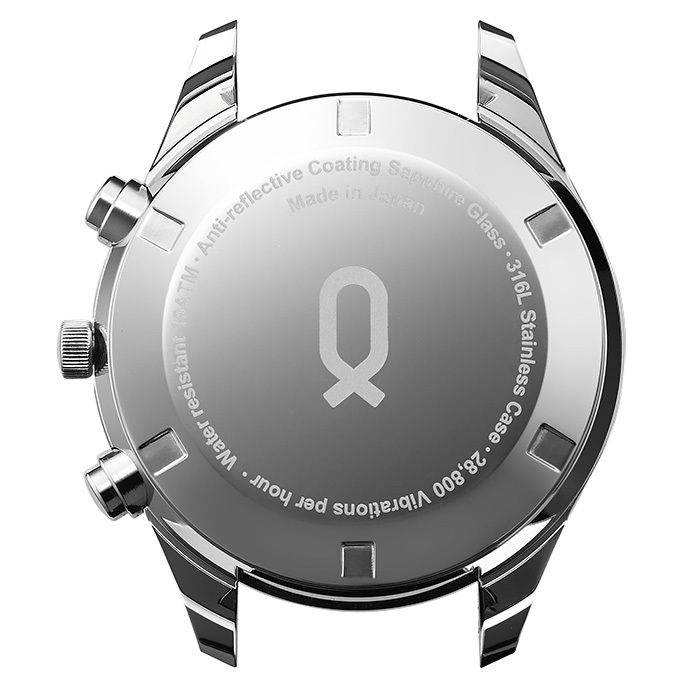 The general concept behind the brand is allowing customers to select their movement type, case design and strap. With the different options available there are more than 8,000 combinations that can be created. When you enter the store you see a central table with a unique layout. The different components layed out to allow people to easily select the different items and then mix and match the components that they want. 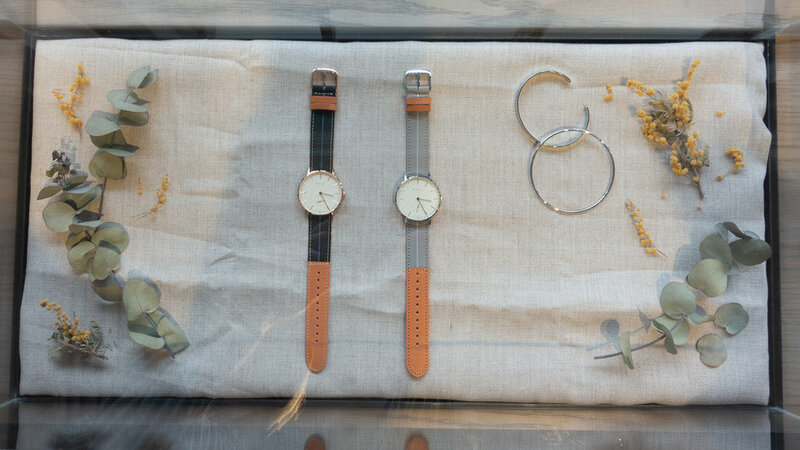 The watch types are grouped together with different case styles. The different straps are then grouped by type around the table. The quartz and solar models are a standard minimalist design and honestly were not very interesting to me, but I do understand the market they are targeted at. More interesting are the two automatic models. 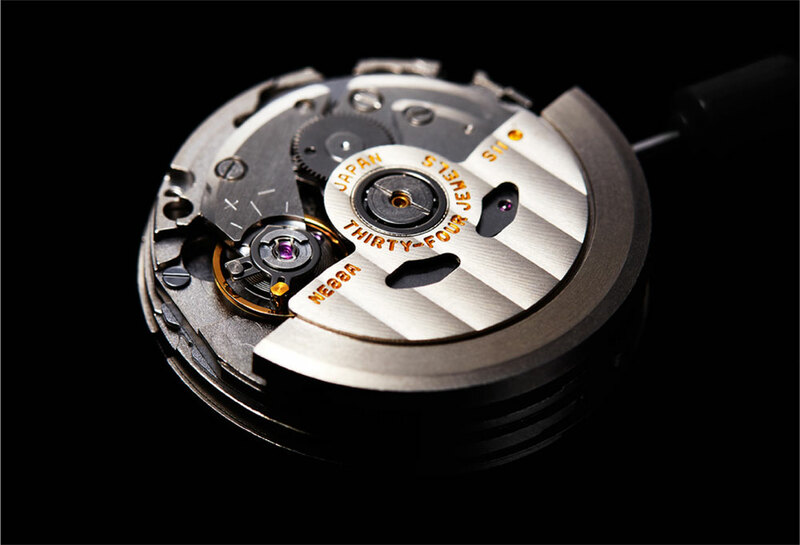 The AT-38 is supplied with a three hand Miyota 9015 movement running at 28,800 bph. 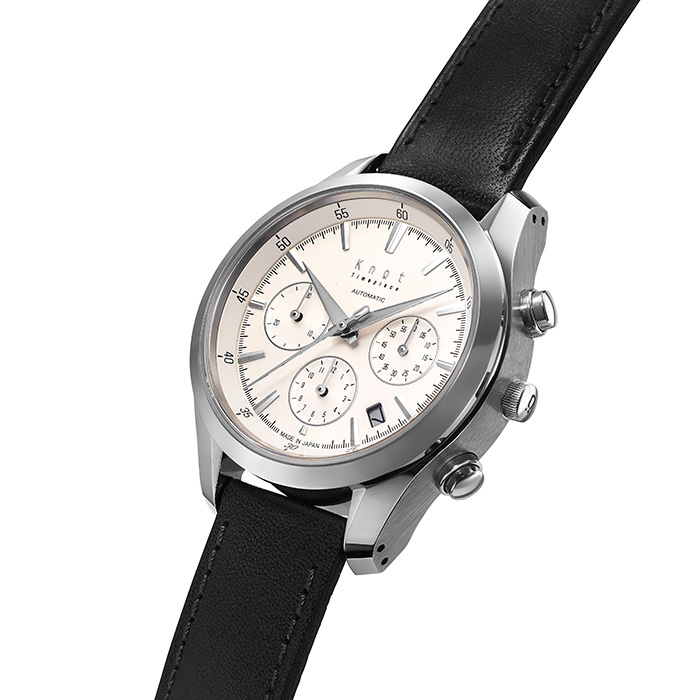 The ATC-40 models are provided with a SII NE88 chronograph that also runs at 28,800 bph. Both automatic models are provided in zaratsu polished stainless steel cases that are produced by Hayashi Seiki Manufacturing Co. 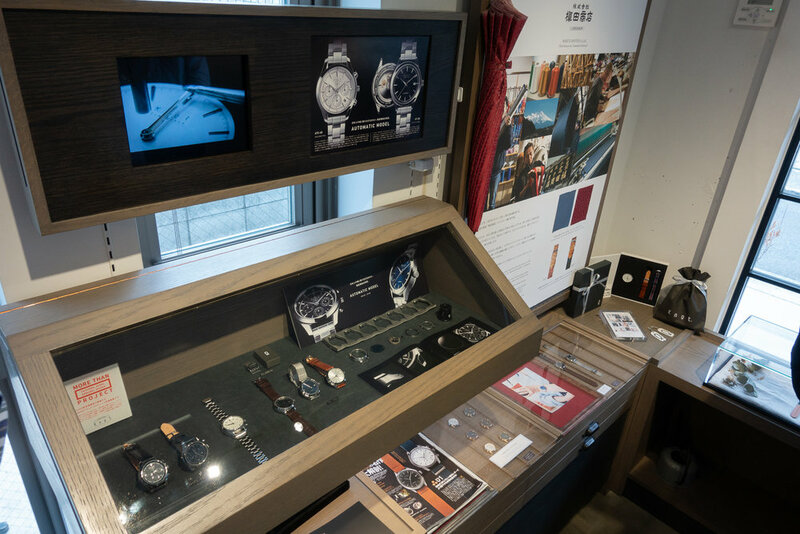 This is the same company that produces many of the higher end Seiko and Grand Seiko cases. 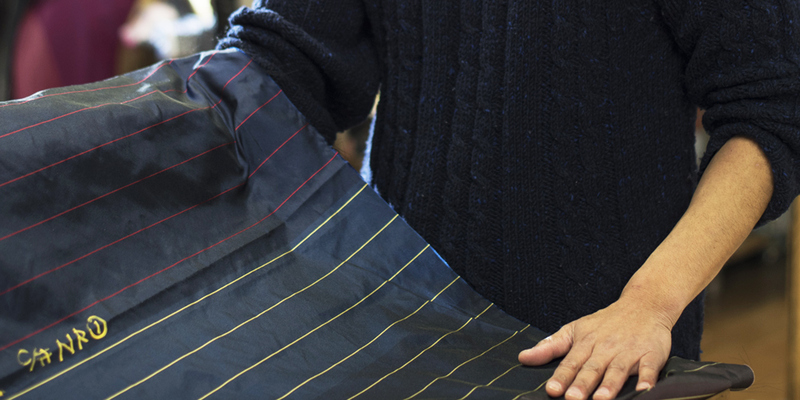 The cases are produced in Sukagawa, Fukushima Prefecture and are finished by hand. One of the unusual design features of the ATC-40 is two sets of drilled lug holes. 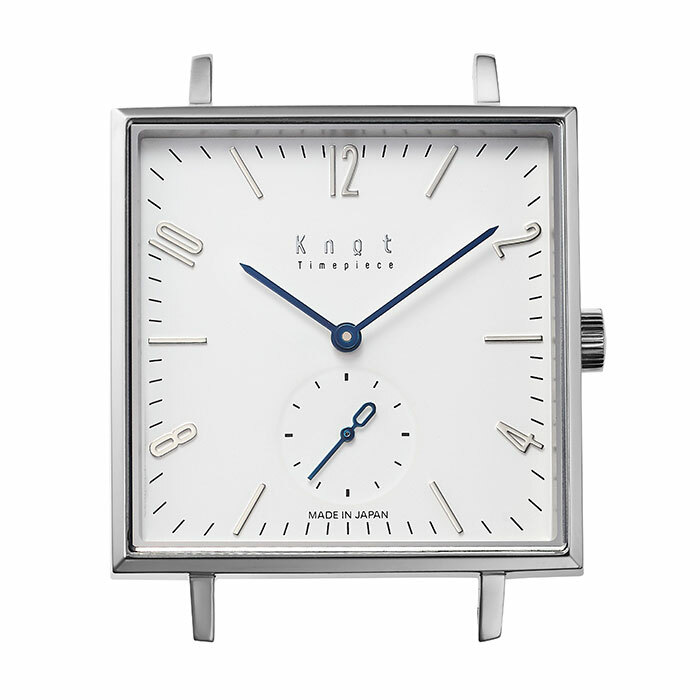 This allows for either a two piece strap to be fitted in a standard position, or you can use the lower set of holes to allow a one piece NATO style strap to sit flatter when on the wrist. 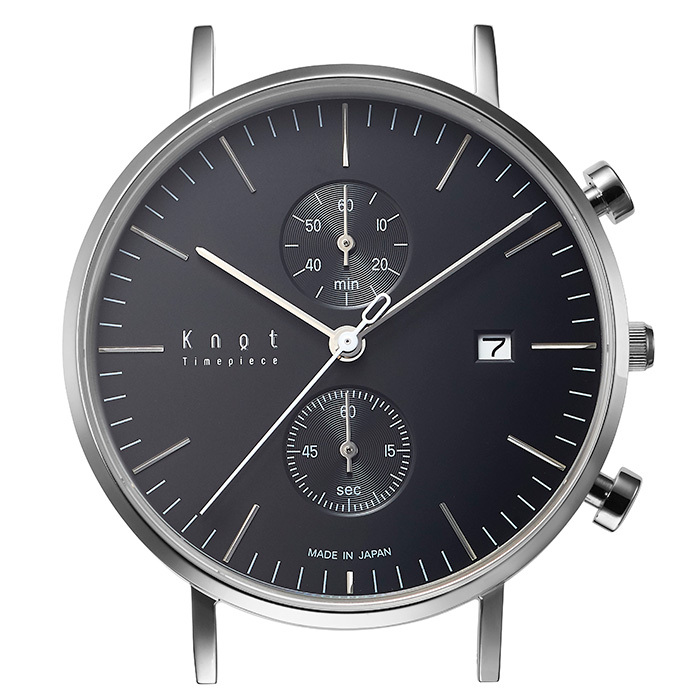 This provides for a better balance and centering when wearing the watch with different strap types. 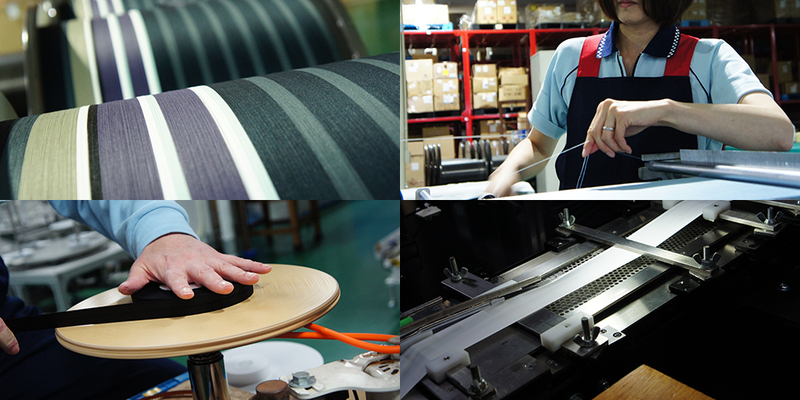 Continuing with the local production the dials on these models are produced in the Akita Prefecture in northern Japan. 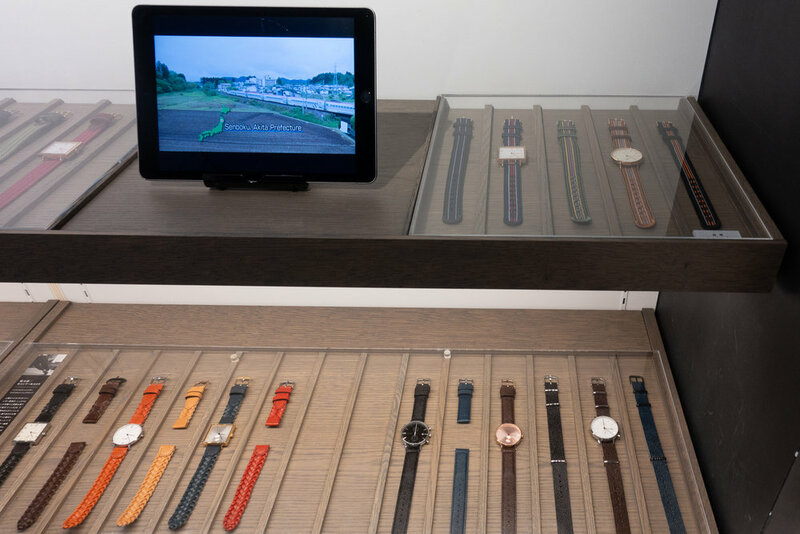 In addition to the choices for the watch head there are a wide range of different straps that can be selected. I found this the most interesting part of the store as the straps are made using traditional Japanese crafts and have some quite unique designs. All of the straps are an 18mm width but it would be nice to see some larger sized straps released in the future. 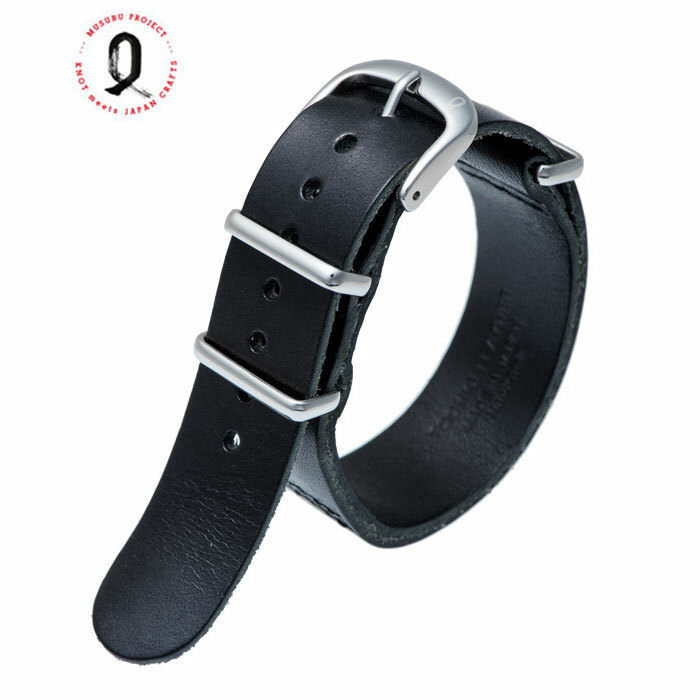 There are a range of leather straps. 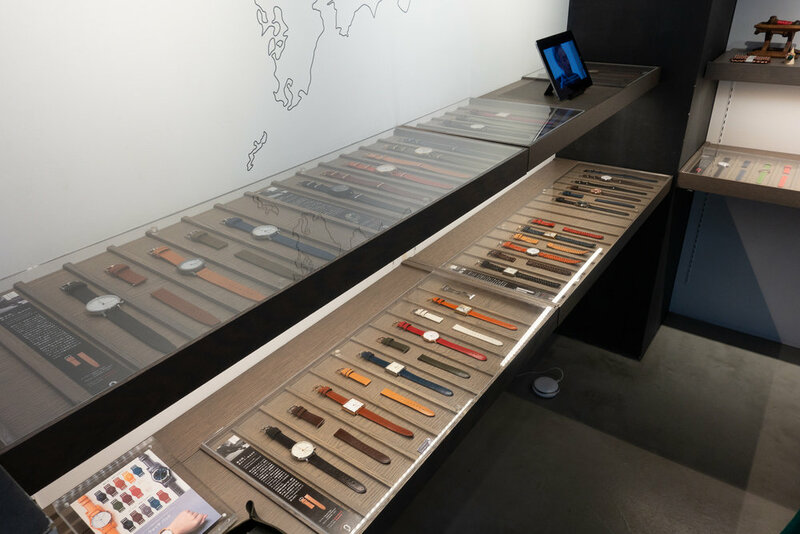 These include a range utilizing Tochigi leather that is from the Tochigi Leather Company a Japanese producer that has been in business since 1937. The leather is tanned using a natural vegetable process and comes in a range of finishes and colors. 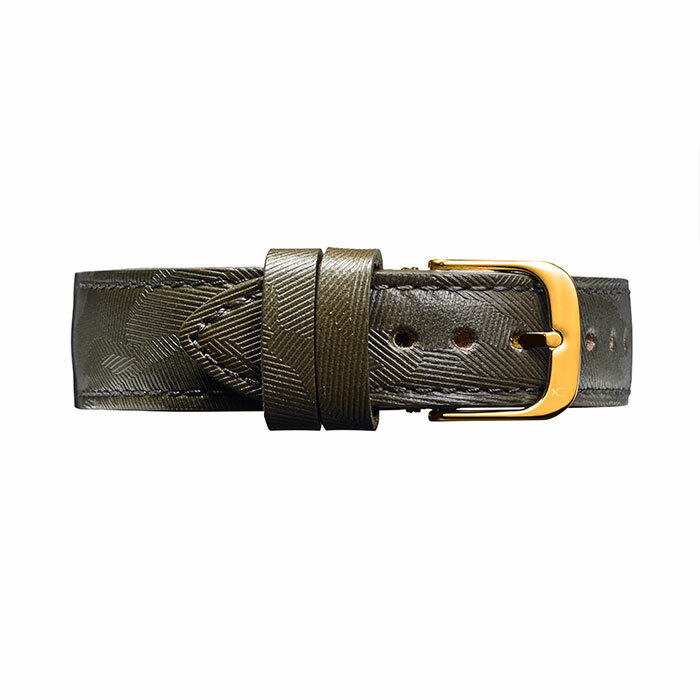 The straps are available in a traditional 2 piece design, a woven leather style, a NATO design and two piece and NATO styles with a scotch grain finish. 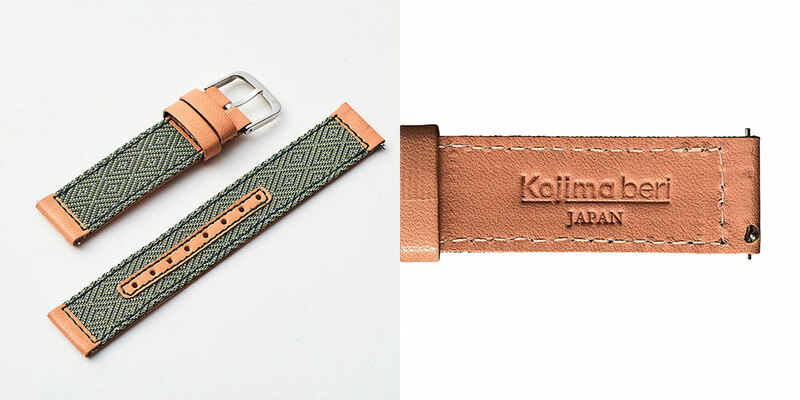 Another series of leather straps utilize Himeji leather. This is a soft and supple leather with rich and vibrant colors. These straps are available in a two piece design with multiple colors to choose from. 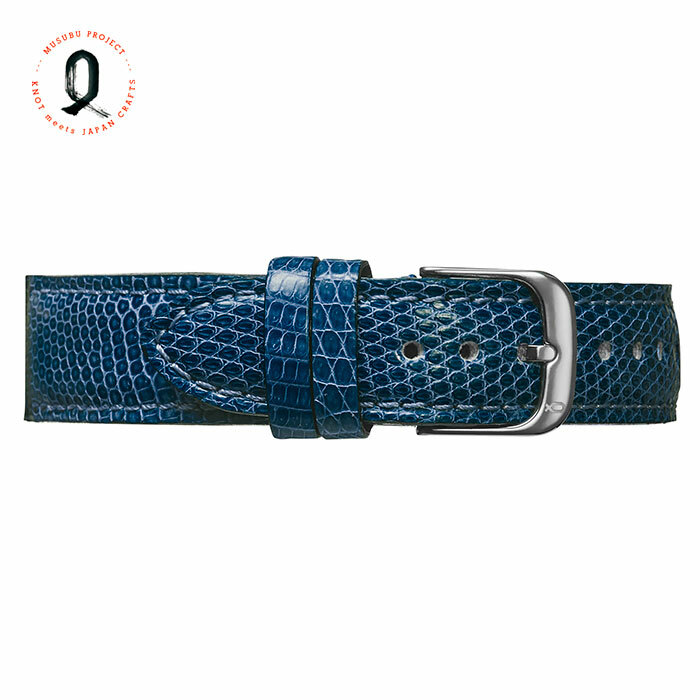 A more exotic leather band is the premium lizard strap. These are available in a two piece design with a range of available colors. 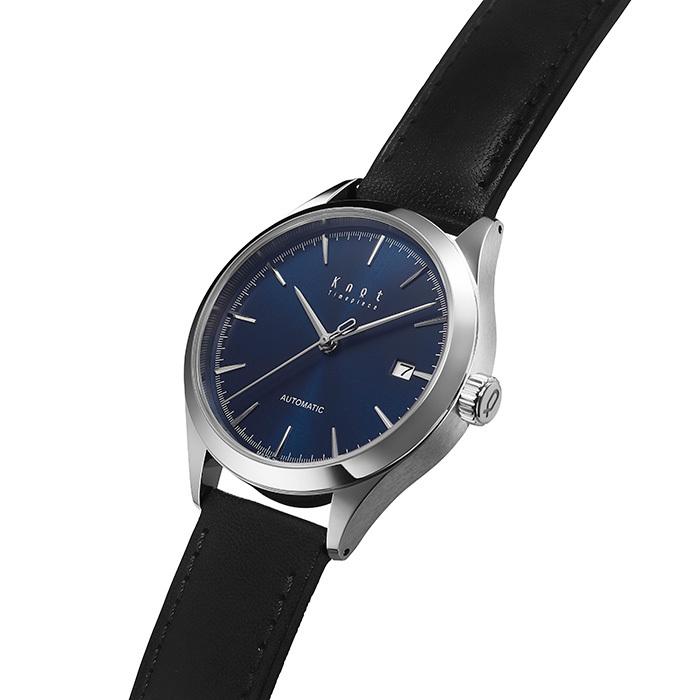 Aimed at customers who need a highly water resistant strap there is a range constructed from Aqua Leather. This is a leather that is specially treated during the tanning process to make it highly resistant to water. These are finished with an embossed camouflage style pattern that makes the strap resistant to scratches and dirt. In addition to leather there are also various fabric based straps. These start with a Japanese made NATO style strap from the company Shindo. This company is known as one of the leading producers of ribbon. The NATO straps are available in a range of colors and hardware finishes. 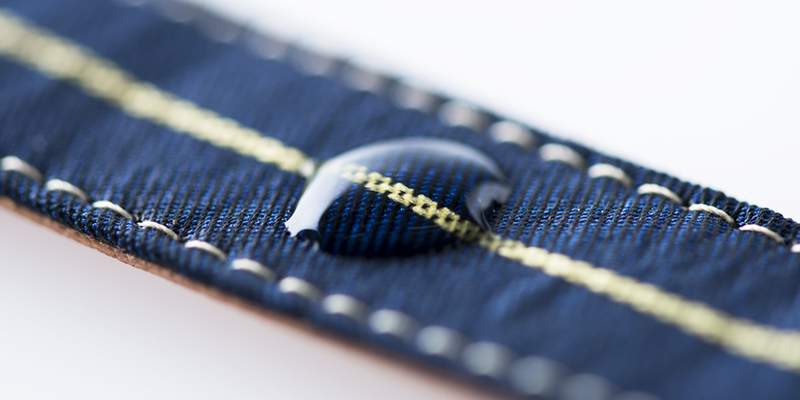 The next fabric style is a canvas strap from the Japanese company Takeyari. The material is produced in Kurashiki, in the Okayama prefecture. The canvas has a range of colors available and these are backed with Tochigi leather. 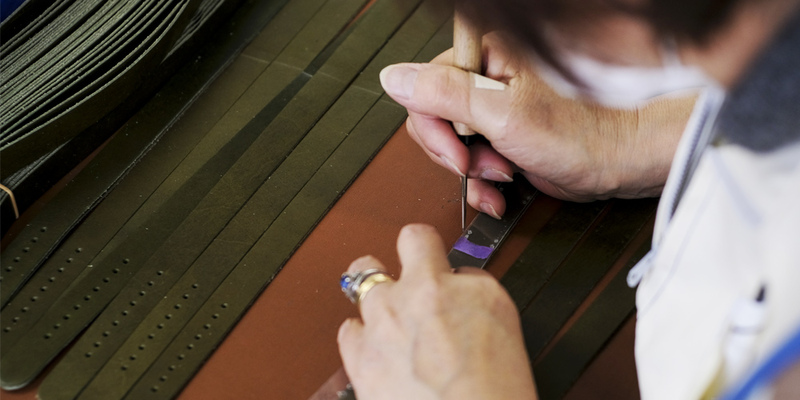 A very traditional Japanese material that is used to create some unique straps can be seen in the range based on the edging material used on tatami mats “Tatami-beri”. This material is from Takata Orimono from Kurashiki, Okayama. 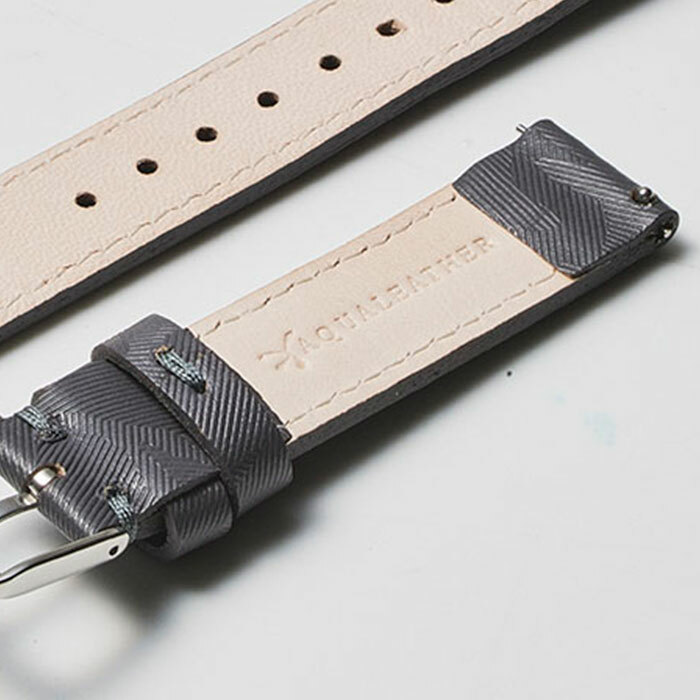 The straps are backed with Tochigi leather to prevent any fraying. 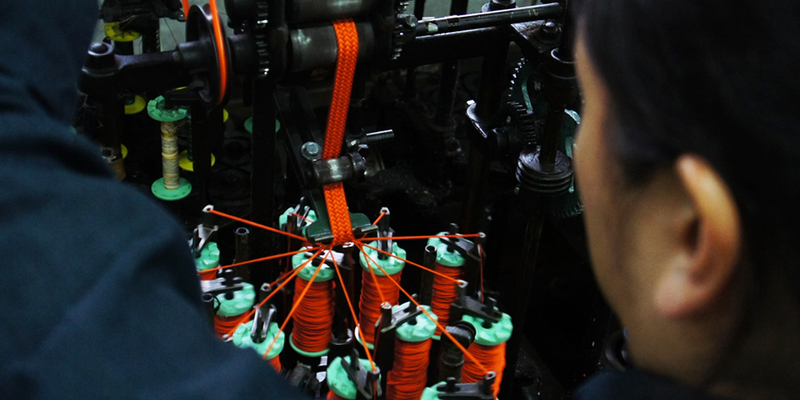 Another traditional Japanese material that is used for the straps is from Makita Shoten. 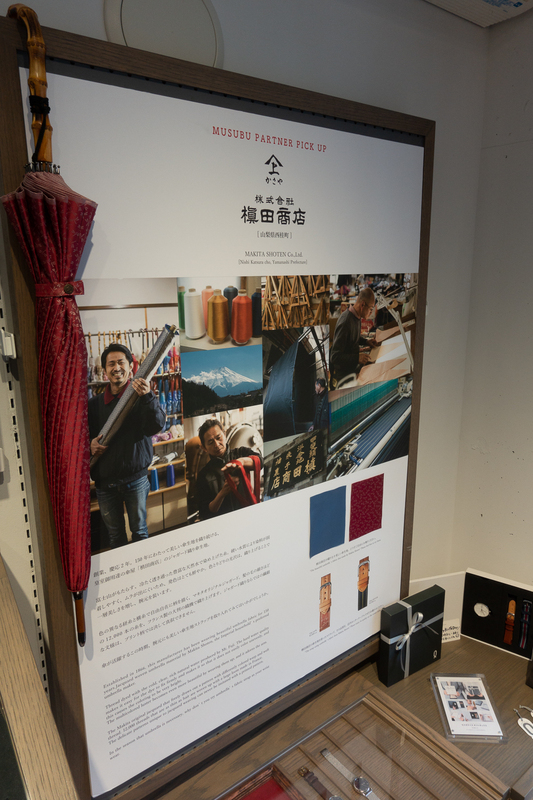 This company has produced traditional Japanese umbrellas and a dragonfly pattern is used on the two part strap designs. 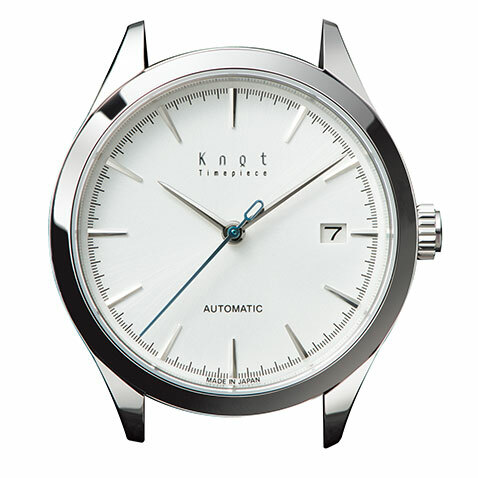 In addition to the two piece there is also a single piece NATO style strap available. The material used on these has a high quality 12,000 thread count and is backed with Tochigi leather. 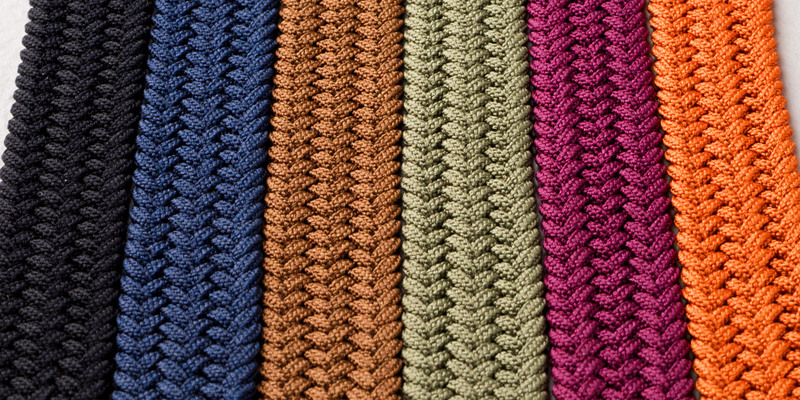 Continuing the traditional Japanese handicrafts used in the strap options is the unique braided technique used in the Silk-Kumihimo strap. 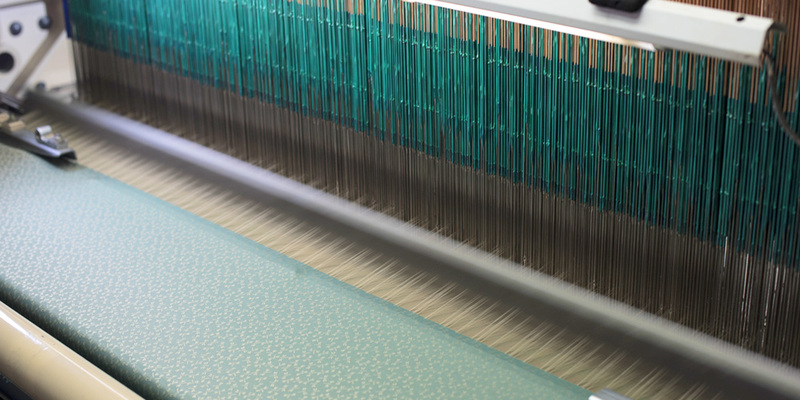 This is from Shoen Kumihimo from the Kyoto region and has a series of vertical stripes called "Aya". 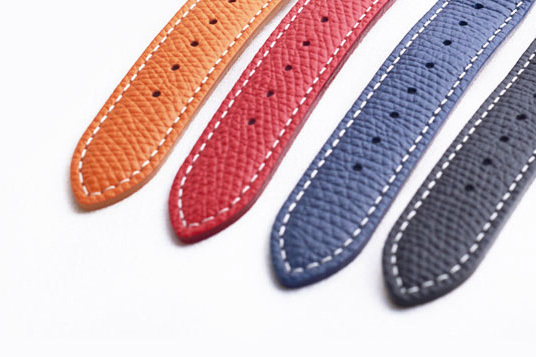 There are five different color variants and they are all a single piece strap. There is a braided single piece strap, also from Shoen Kumihimo, that incorporates the weaving of thirteen individual cords into the strap. 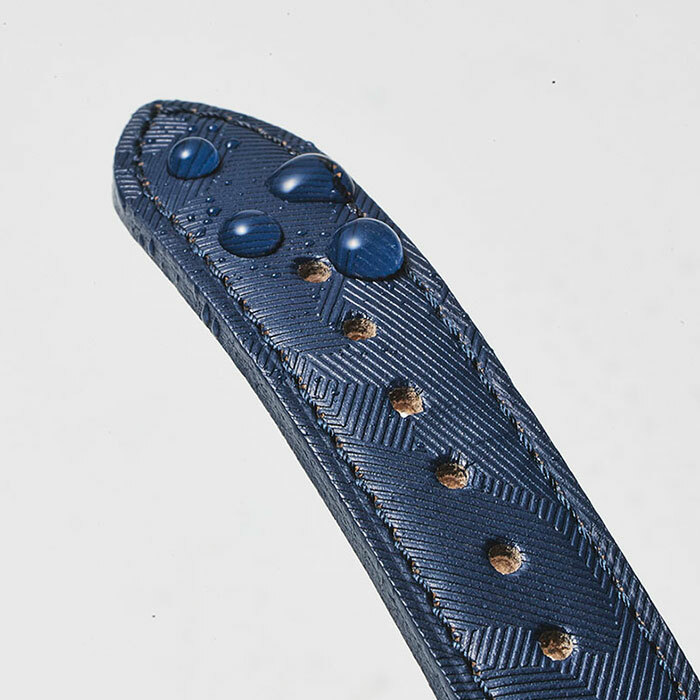 This strap also used the soft silk material with rich and deep coloring. 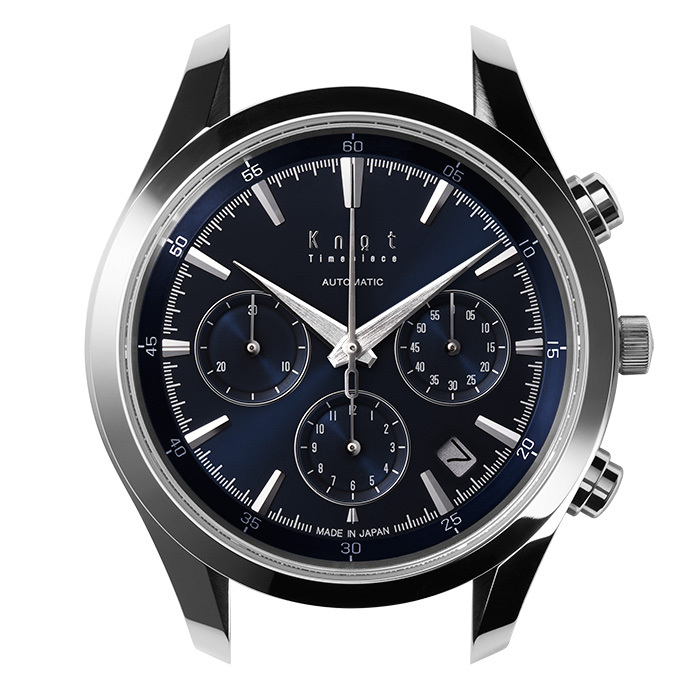 While I think the ATC-40 automatic chronograph model represented very good value, with a NE88 chronograph movement and zaratsu polished case for under $1000, I did not purchase a watch. I did instead purchase a couple of straps that I will use on various watches. The first strap was a single piece design using the Makita Shoten material. This seems to be really good quality and the material feels very nice. 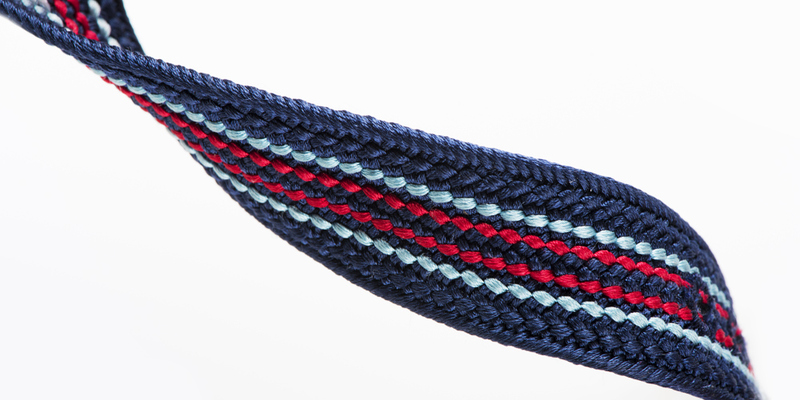 The second strap was another single piece design, a blue braided Silk-Kumihimo strap. Like the other strap I appreciated that it was using traditional Japanese crafts and materials and was very good quality.